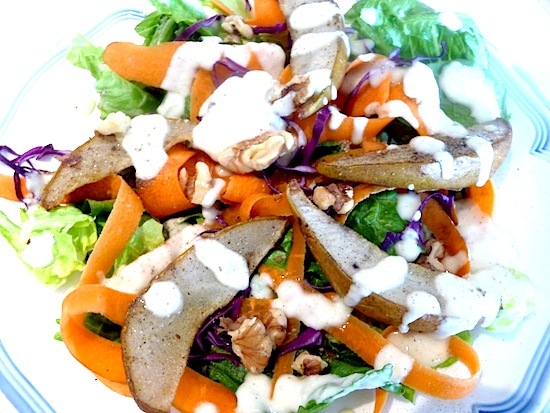 If you need a delicious salad dressing here’s a recipe for you! Put this dressing on your favorite greens, cabbage, or?? Thanks Lisa! What a great way to use the edible flowers that are in season! Thanks Marissa for sharing your blog with us! 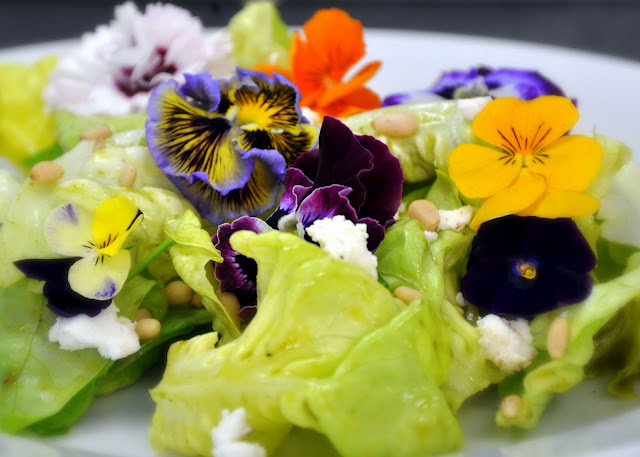 Go Here to see the recipe to an edible flower salad with pine nuts! Yummmm! We would also love your comments once you try this! Thanks Debra for sharing! Go Here to check it out! I had not used my parsnips from last week and I got more today so the motivation is to use parsnips. In deciding what I want to do with them I’m thinking about what I want them to go with, I have a couple of bean burgers left over. This is not your grandma’s burger and fries. Pre-heat oven to 450. Thinly slice parsnips. Rinse, drain and then soak in cold lemon/vinegared salt water. After 10 minutes I tasted the raw parsnips and liked them more than I have ever liked raw parsnips before. While soaking prepare an oil rub. 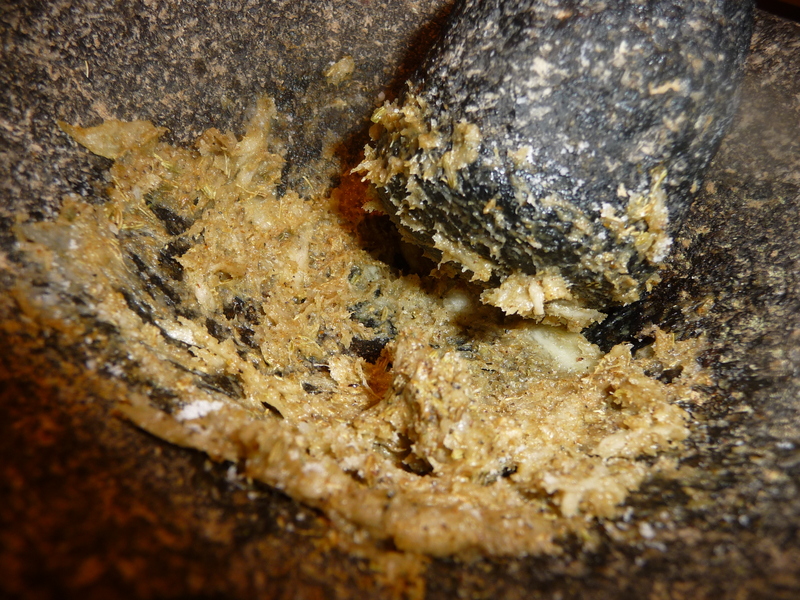 Place all ingredients in a molcajete or mortar and pestle and grind into a paste. 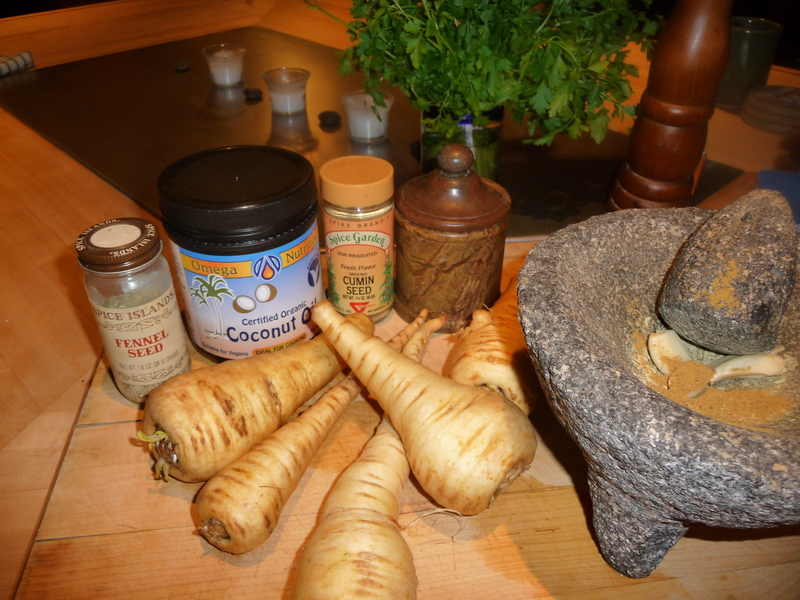 Drain parsnips and blot dry. Pat the rub all over the parsnips and place on cookie sheets. The oven temperature is high, so pay close attention, the timing will vary depending on your oven and the thickness of the cut. I cooked this batch about 30 minutes turning twice. 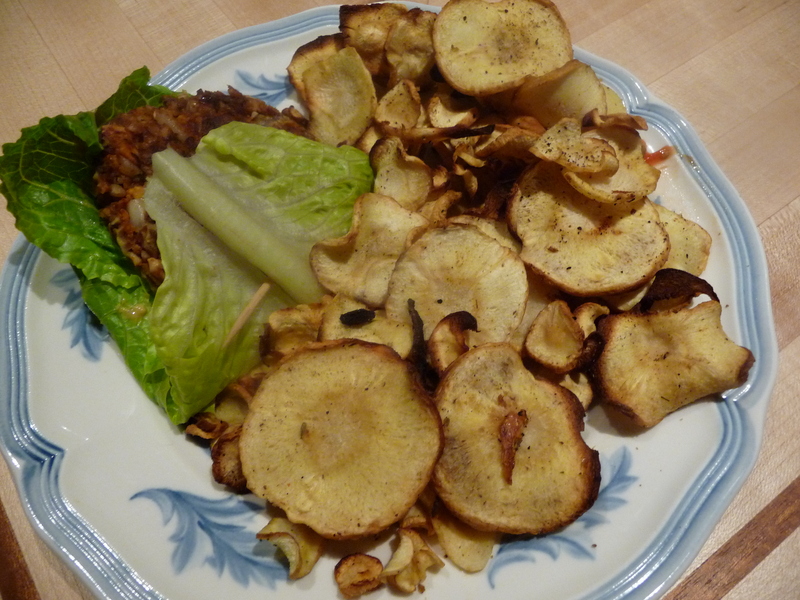 FYI, parsnips do not get as crisp as potatoes. I’m a new fan and will make these again. Use up those pears with this easy snack, dessert or your could even eat it for breakfast like I did today with some vanilla yogurt on top!! 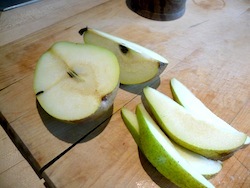 Cardamom-Scented Pear Crisp from Epicurious. Recommended by AC members Jessie McGuire and Sarah Kingston! Thanks for sharing! salt and some herb/spices or personality. 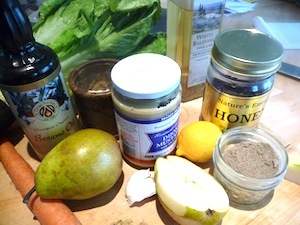 Pears were my focus and they make a great emulsifier in dressings. Blend all ingredients hold the oil out for last. Pour the oil in slowly at the end. 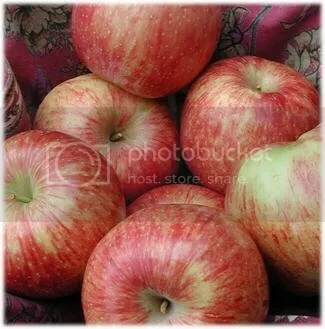 You may want to add more or use less oil depending on the desired texture. This should probably be done first but I was focused on the dressing. Heat oven to 350. Slice the pears into 8 pieces. 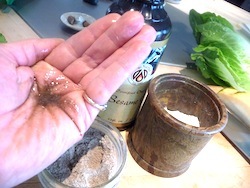 Place even amount of the rub ingredients into the palm of your hand. 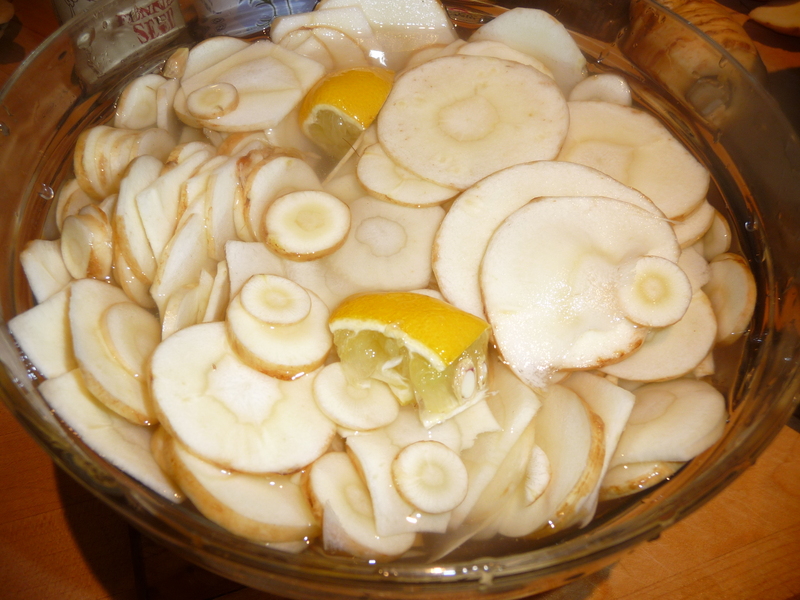 Mix them into a paste and rub that all over the sliced pears. Place on cookie sheet and roast for 10-15 minutes turning midway. Check for desired texture with a toothpick. While the pears are roasting prepare the rest of the salad in serving bowls. 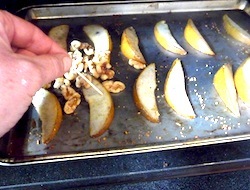 If you would like your walnuts warmed add them to the pear sheet for the last 5 minutes. Cool pears for 5 minutes before plating. Drizzle the dressing over the salad. Feel free to mix and match ingredients and let me know what you did and what you thought of it. I wish you all health and happiness! This was shared by AC member Laura Korb. Thanks Laura! Laura recommends using this recipe for both carrots and parsnips and suggests that it would also go well with many meat dishes. 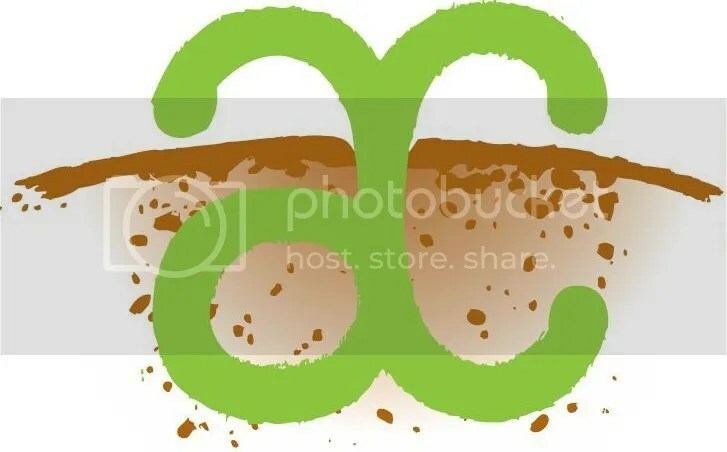 Click HERE to view and Enjoy!